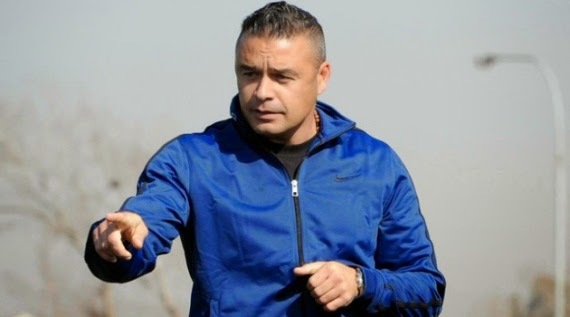 Craig Rosslee has been handed the task of rescuing Moroka Swallows from the relegation quagmire as he takes over the hot-seat from Fani Madida. The Dube Birds are second from bottom with 22 points and their stay in the PSL for next season does not look certain. Swallows made the announcement by midday today that the former Ajax Cape Town and AmaZulu coach will lead their revival. The Soweto club expressed joy at Rosslee’s arrival. “Moroka Swallows are delighted to today announce the appointment of Craig Rosslee as the club’s new head coach,” a statement from the club reads. “Everyone at Swallows is delighted to welcome a coach of Rosslee’s experience and winning record as the club looks to move away from the relegation places between now and the end of the season.” Having rescued Usuthu two seasons ago, Swallows are expecting Rosslee to bring that same effect to their side. Everton coach Roberto Martinez has revealed that South African midfielder Steven Pienaar is set to return from a knee injury. Pienaar has been troubled with injury this season, and suffered a knee injury setback in December that has kept him on the sidelines ever since, only making 10 appearances for the Toffees all season long. However, the former Ajax Amsterdam midfielder is set to return to training on Monday, and Martinez says he will not rush the Westbury-born playmaker. "We had very good news on Steven," Martinez told Evertontv. "He's going to join the group on Monday and we'll take it from that point on, making sure that slowly but surely we give him the right path to being fully fit and being able to enjoy his football again.” The Everton boss also says Pienaar is still valued by the club, and hopes the former Bafana Bafana international will still play before the end of the current season. "We've missed Stevie massively throughout this season and it's important we'll be able to see him on a football pitch before the season ends,” he added. Goalkeeper Ayanda Mtshali has returned to Africa Sport Youth Development Academy following the termination of his contract at Free State Stars last week. Mtshali has been handed his clearance following ‘issues’ with the club since last year when it was reported that he was falling out with club management due to off-field matters. Though the 26-year-old was first-choice early on in the season starting 12 games, his last appearance was on December 6 against Mamelodi Sundowns. “I am now training at Jazzy Queen’s [Harold Legodi’s] academy while my agent gets my future sorted out. Though I have now been given my clearance, I will only be able to move on to another club in June,” said Mtshali. Ajax Cape Town and Bidvest Wits will be the opening act of the Nedbank Cup quarter-finals on Friday, 10 April at 20h00. The PSL has confirmed a number of logistics around the Nedbank Cup quarter-finals including dates, venues and ticket prices. The Nedbank Cup quarter-finals will be played on the weekend of 10, 11, 12 April. 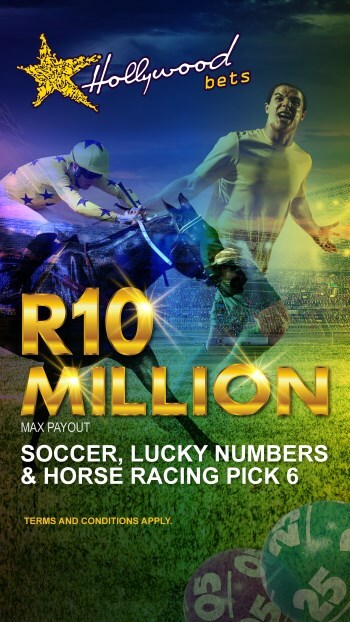 Ticket prices will vary from R80 (only for West Stand pavilion) and the rest of the stadium will cost R40. 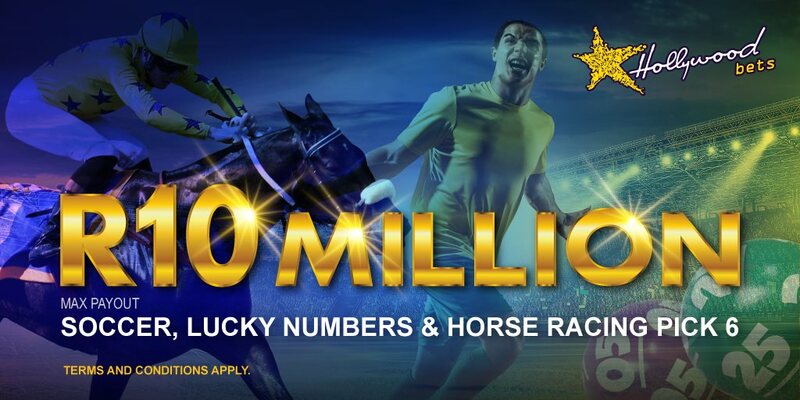 This will apply at all fixtures with the exception of the fixture between Black Leopards and Vasco da Gama at Thohoyandou Stadium in Venda, where there is a standard cover charge of R40. The two NFD clubs will play on Saturday, 11 April at 15h00. On Saturday evening, SuperSport United will host high-flying NFD outfit Golden Arrows at Peter Mokaba Stadium at 20h15. On Sunday, Mamelodi Sundowns will travel to Nelspruit to play Mpumalanga Black Aces at Mbombela Stadium. Kick-off is at 15h00. Thanda Royal Zulu have announced the signing of Thokozani Mshengu. The 29-year-old midfielder has been battling to find a club since being released by AmaZulu in November 2013, allegedly for ill-discipline. But now Mshengu, who also played for Bloemfontein Celtic and Golden Arrows, has got another chance, with the club announcing: “Thokozani Mshengu has signed a contract with Thanda Royal Zulu.” Thanda are currently second in the National First Division standings, three points behind leaders Golden Arrows. They are away to Highlands Park this weekend. Polokwane City defender Joseph Musonda has confirmed that he will be continuing with his playing career beyond the end of the current season. Musonda will turn 38 in May but having shown no signs of slowing down this season during a campaign in which he has been the club’s first-choice left-back, he says he still has the hunger. “I know that people are obsessed with judging players based on age but for me I operate on how my body feels and right now I feel like I am at my peak. I am sure I will even play on until I pass 40 as long as I am feeling this way,” Musonda said. The Zambian has been so influential at Polokwane that only Cole Alexander and Jabulani Maluleke have played more football than him, and he has now actually made another veteran left-back, Elias Ngwepe, be forgotten about. “I have been able to compete so well this season despite my age and that is a sign that says I can still continue. The most important thing is that I have been able to take care of my body so at the end of the day this age thing is just a number,” said Musonda, who has only missed three games this season. If I am able to put in the extra effort and be just as effective, then I will continue playing.” The veteran defender’s contract with Rise and Shine expires in June and he will complete the current season as the most-active, oldest player. “We haven’t started talking about an extension as yet,” he adds. 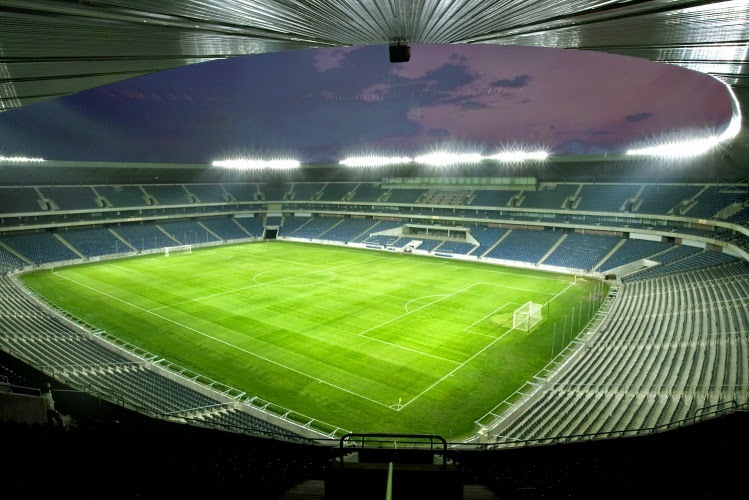 Orlando Stadium will be called the Lafarge Orlando Stadium from next season after new naming rights were agreed with Lafarge South Africa, a building materials manufacturer. Lafarge South Africa, one of Southern Africa’s leading building materials manufacturers, concluded a sponsorship deal with Stadium Management South Africa (SMSA) on Sunday, 1 February for the exclusive naming rights to the famous Orlando Stadium in the heart of Soweto: to be known as the Lafarge Orlando Stadium. Branding is currently underway and the dramatic transformation of the stadium’s appearance will be revealed at a prestigious launch function scheduled to be held in May. "There is good brand synergy between Lafarge South Africa and the Orlando Stadium: in particular in their long-standing commitments to sustainable development in local communities. I am passionate about skills transfer and look forward to Lafarge contributing their strength in this area and their experience with education upliftment in disadvantaged communities," said SMSA’s CEO, Jacques Grobbelaar. Orlando Pirates captain Lucky Lekgwathi says he still has the passion to play competitive football and is praying that he can return to the pitch this season. The 38-year-old has not featured in 2014/15 due to an ankle injury, having started 36 matches last season. But Lekgwathi says that he is working extra hard to ensure he gets to taste some action before the campaign draws to a close in May. “The injury is alright,” he says. “I’m doing light training at the moment, but only God knows when I’ll be back playing. I’m working very hard and hopefully I’ll still get some game-time this season. I’m praying every day that it happens.” Lekgwathi admits it’s been painful watching the action from the sidelines, adding: “It’s been very frustrating, especially when I go to training and watch the guys in action. They also miss me and keep asking when I’ll be back. It’s been very frustrating, but I’m a big boy and know that everything happens for a reason.” And despite the injury woes, Lekgwathi says he is not ready to give up on his playing days just yet. “My legs will tell me when I’m done, but I’ve still got the passion. I do extra training, do a lot of stretching and eat well, and that’s helped me go for this long. I’ve also had a lot of encouragement from people like Shoes Moshoeu, [Palaciois] and Dr [Irvin] Khoza.” Lekgwathi has made 342 starts for Pirates since arriving from Ria Stars in 2002. 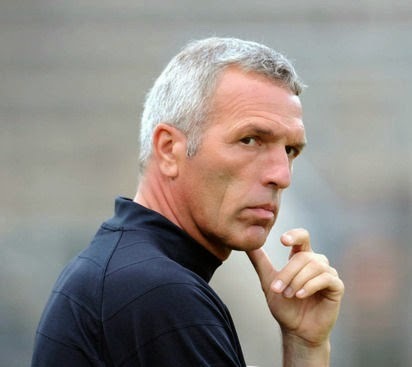 Chippa United have suspended their head coach Ernst Middendorp. United's technical director Mich D’Avray has been appointed caretaker boss of the Absa Premiership strugglers, with Fadlu Davids continuing in his role as assistant coach. The club released a statement, which said: “Chippa United FC has suspended incumbent coach Ernst Middendorp with immediate effect pending the outcome of an investigation and possible hearing to follow. As this is an internal process no further details will be supplied. Our technical director Mich D’Avray will be the caretaker coach until such time as the matter is finalised and our assistant coach Mr. Fadlu Davids continues in his current role.” Middendorp failed to claim a victory at the Port Elizabeth-based outfit - who are three points above the drop zone with six matches left - after replacing Roger Sikhakhane in the festive break. Under the German's watch, Chippa drew four games and lost four in all competitions. Kaizer Chiefs football manager Bobby Motaung has stated that the club is interested in signing James Keene, but only for next season. The 29-year-old marksman was on trial at the club recently and he has since gone back to England, while Chiefs mull over the possibility of enlisting the striker. However, Motaung has since admitted that the work permit application may take long and therefore, Keene may not be available for many of Chiefs’ remaining games this season hence the club is looking at a deal for next season. We can’t sign him with six [league] games to go. His work permit might take time. We are negotiating with him to sign for next season as our only challenge now is the League,” Motaung said. Itumeleng Khune moved a step closer to becoming South Africa’s most capped goalkeeper when Bafana Bafana drew 1-1 with Nigeria at Mbombela Stadium on Sunday. Khune made his 66th international outing in the friendly, one less than Bafana's most capped gloveman Andre Arendse. Arendse had a nine-year national team career between 1994 and 2005, and was in goal when South Africa lifted the African Nations Cup trophy in 1996. Khune’s appearance against Swaziland in the first half on Wednesday night already gave him the record for the most starts for a Bafana keeper – he has started each one of his 66 caps to date. Arendse started 64 games and had three appearances off the bench. Khune has conceded 50 goals in his national team career to date, while Arendse let in 53 goals. Orlando Pirates defender Thabo Matlaba faces a spell on the sidelines with a bruised lung. The Bafana Bafana left-back sustained the knock in the 1-1 draw with Nigeria at Mbombela Stadium. 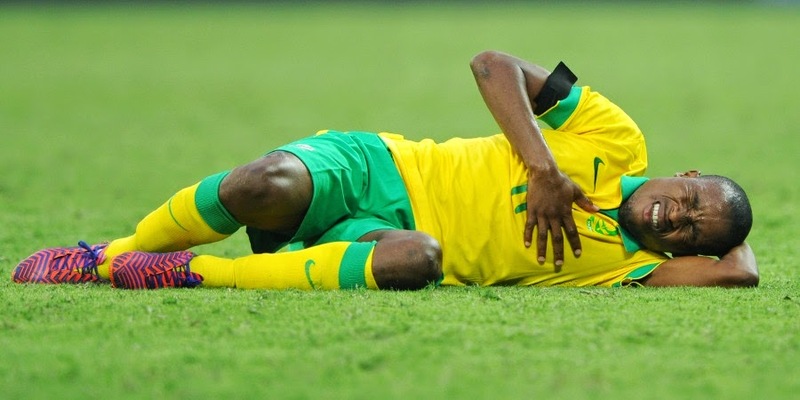 “The initial diagnosis was that he had a lung contusion [bruise] because he was in serious pain at the stadium and at the hospital this was confirmed after a CT Scan of the chest and lungs," said Bafana team doctor Thulani Ngwenya. “He was elbowed hard on the chest but he is now fine, there is nothing broken, which is a great relief. He was discharged last night from the hospital but he will need total rest for some time, and this will be determined by his club’s medical team.” Pirates take on Uganda Revenue Authority in the Confederation Cup on Saturday, having won the first leg 2-1 on home soil. The national U-17 team drew 1-1 with Mali in a friendly at Mbombela Stadium in Nelspruit on Sunday. Amajimbos fell behind to Sekou Koita's 50th minute strike but equalised via Luvuyo Mkhatshana in the 79th minute of the tie - which served as a curtain-raiser for Bafana Bafana's tussle with African giants Nigeria. The sides clashed twice at the recent CAF U-17 Championships, with Mali claiming title honours with a 2-0 victory in the Final after drawing their first meeting 2-2 in the group stages. Both countries have qualified for the U-17 World Cup in Chile later this year. Both were not in action as their English League Two teams had their games postponed. It was a bad day out for goalkeeper Cann, whose Welsh Premier League side Port Talbot Town lost 4-1 to Bala Town in the Premier League play-offs. Both brothers played for Scottish Championship side Livingston as they were held to a 2-2 draw at fellow strugglers Alloa Athletic. It means Livi remain six points from safety with six matches remaining in the season. A third Jacobs brother, Devon, featured for Berwick Rangers as they played to a 1-1 draw with promotion-chasing Queen’s Park in the Scottish League Two. Ntlhe played for Peterborough United in the English third tier as they lost 1-0 to Coventry City to slip out of the promotion play-off places. Ethen Sampson made the bench for the first time this season as Vancouver Whitecaps continued their fine start to the 2015 campaign with a 2-1 victory over Portland Timbers to move up to second in their Major League Soccer division.